Bali, the island of the gods, is a legendary tourist destination, thanks to its beautiful landscapes, climate and unique Hindu culture within the world's largest Muslim country. The main hotel resorts are concentrated in the south of the island, but we recommend that you look further afield - somewhere you won't feel cut off from the Balinese, where you'll feel you've seen the real Bali. 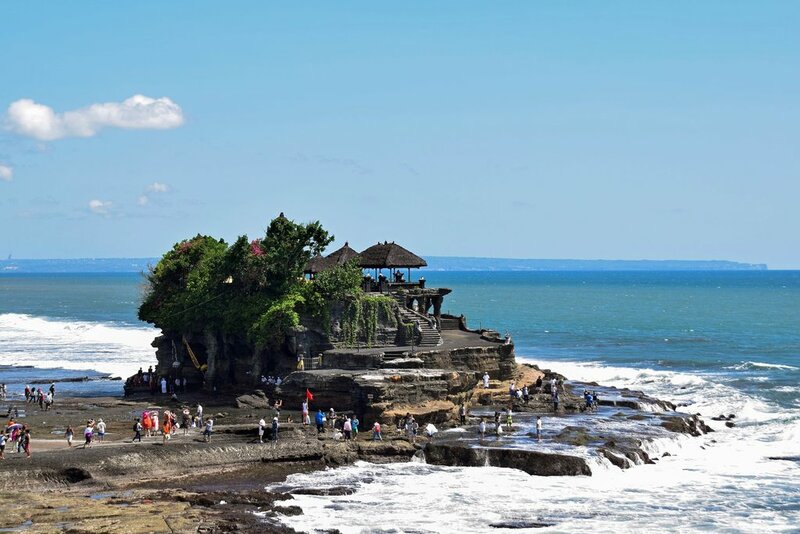 Discover the wild beauty of Bali this Easter with Expedia's best prices! 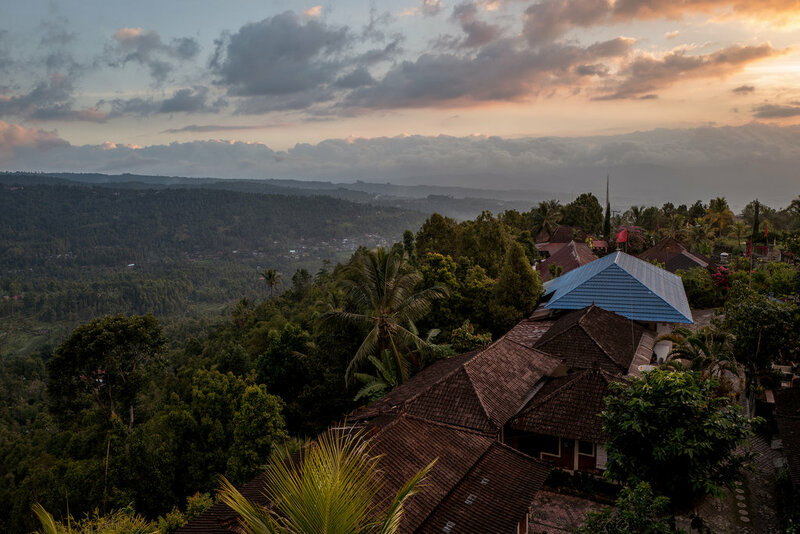 If you're travelling to Bali, make Ubud your base. Ubud is the cultural capital and is perfectly situated in the centre of the island. Here you will find the famous 'Monkey Forest' (where the monkeys are kings), temples galore, excellent restaurants for all budgets and great accommodation for around just £9 per night. Around any corner you might stumble across a paddy field set in majestic scenery, or a family temple free from tourists, reverberating with the typical pious and joyful Balinese atmosphere. You'll often hear music, different sounds and Balinese percussion and you'll be sure to leave enchanted. The emblematic image of Bali - the picture you see on all the postcards, and in every article about Bali. This impressive temple stands next to the sea and at high tide becomes a magnificent and majestic island. But like the Eiffel Tower in Paris, it's invaded by tourists and surrounded by tourist traps all year round. It's still worth a visit, however, provided that you don't stay too long. Amed - the place for breakfast by the sea and to take a dive at one of South Asia's most beautiful sites, teeming with turtles, manta rays, coral and fish. Amed - famous for its incredibly array of flora and fauna wherever you set foot, as well as its snorkelling and Second World War shipwrecks - especially Japanese and American ships. 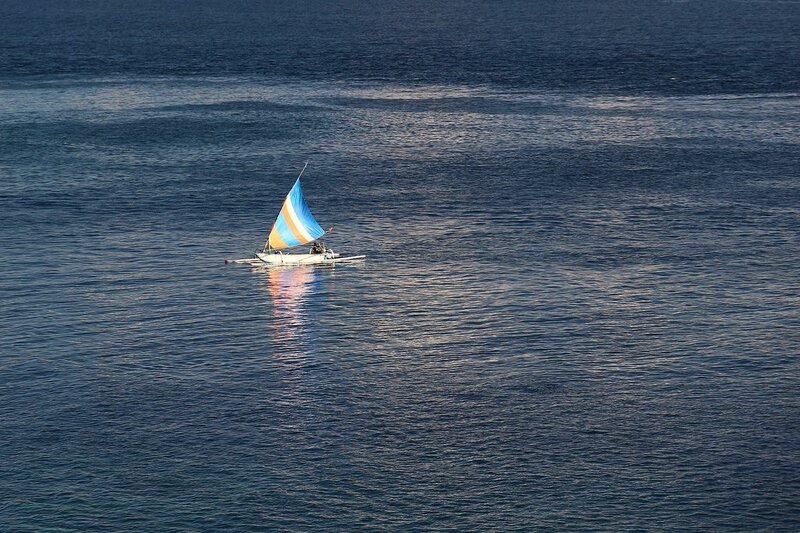 Amed - for fishing and, above all, for its fishermen - with their unstinting good nature and generosity. If you get the chance to visit the island during a religious festival, you'll see impressive processions where families pay tribute to the gods and their ancestors. The clothes are elegant and the smells are vivid and tempting - a mixture of incense, bananas and peanuts. Buy a sarong, keep a low profile, keep quiet and pluck up the courage to sit in a small corner of a family temple. People will greet you with a smile and act as if you don't exist, happy to carry on with their traditions without having to sell them out to mass tourism. Photo by Matthias Ripp under CC BY 2.0 licence. Munduk is attracting more and more tourists thanks to its rice fields, treks for all abilities and isolated hilltop villages nestling amidst the terraced paddy fields. Climb to 1,000 metres, spend the night and wake up with a view of the island's picture-perfect mountains. Before leaving, you will also have the chance to walk to the oldest Banyan on the island, a majestic sacred tree that will leave a lasting impression. Chris is a journalist that chose to travel the world to find amazing stories to share on his blog. He writes about anything that amazes him when travelling - a place, a person, an unusual local custom - but also tries to give the best travel tips to his readers.